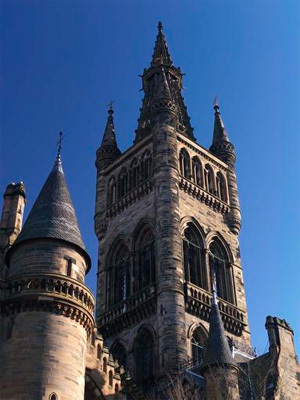 Chen Tao-Yuan came to the University of Glasgow after graduating from the universities of Peiyang and Cornell. During his one year here, 1909-10, he studied Engineering (Higher Dynamics), Electricity and Naval Architecture. It is almost certain that he was attracted to the university by its Naval Architecture course, which was taught by Sir John Harvard Biles. Chen Tao-Yuan went on to become a prominent Naval Architect and Draughtsman, he was initially a member of the London Institute of Naval Architects and worked for Vickers. When he went back to China he worked variously as secretary to the Chief Inspectorate of Salt Administration, Chief Engineer Superintendent of the Government Dockyard and technical expert to the Ministry of Navy. He traveled as a delegate to the 1921 Washington Conference and to the Hague Court of International Justice with Wang Chung-Hui. Later on he was the Superintendent of the Engineering Department of the British concession in Tientsin until 1949 and passed away in 1974.